the initiatives we have emphasized in policy discussions—class-size reduction, curriculum revamping, reorganization of school schedule, investment in technology—all fall far short of the impact that good teachers can have in the classroom. We are lucky to have not only a good teacher, but arguably one of the best K12 computer science teachers in the state, Brian Van Dyck, on our founding team at Embark Labs. I have learned so much from working with Brian and am constantly impressed by the energy he creates in any learning environment. And I’m glad to see I’m not the only one who has recognized this. In the past few weeks Brian has been featured in a couple articles that provide a glimpse into his teaching philosophy and the unique approach we are creating at Embark Labs. 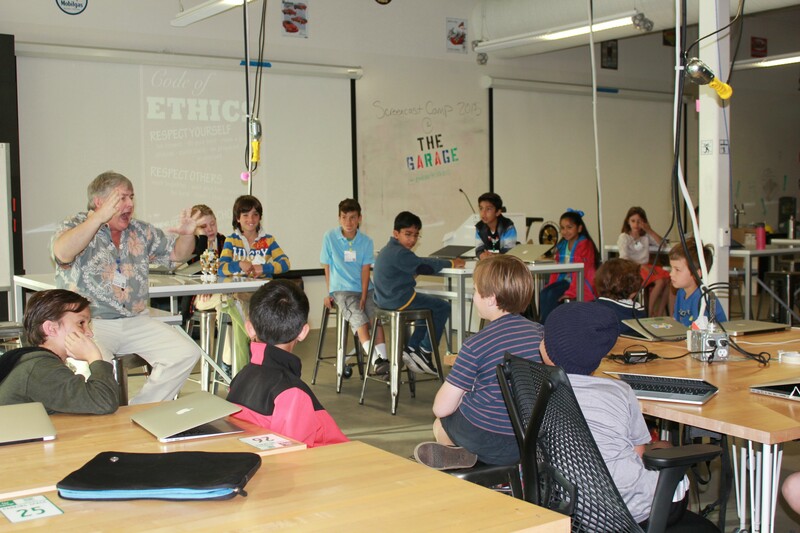 InMenlo, a local Bay Area publication captured Brian’s 20+ year history working in this area while the Code-To-Learn Foundation wrote a fantastic profile on how he uses Scratch in innovative ways to teach kids coding and computer science. We don’t need a special ‘appreciation’ day to celebrate the educators that inspire our children every day. As the school year comes to a close, this is as good a time as any to share your appreciation for someone who has impacted your child’s learning journey. My gratitude goes out to Brian Van Dyck.